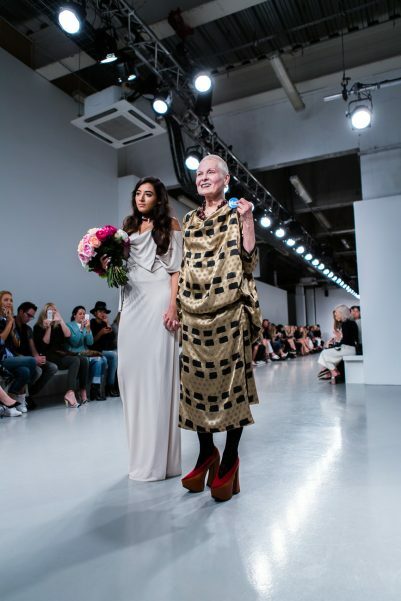 Dame Vivienne Westwood selected B1 as the venue for her Spring/Summer 15 collection – the Red Label – inspired by the work of Russian artist Leon Bakst and French fashion of the eighteenth-century. The iconic designer began her career in 1971, along with her then partner Malcolm McLaren in London. Since then, her inspirational ideas and designs have changed the fashion landscape, making her one of the industries most renowned independent figures. The industrial space added to the drama of this particular collection, as models had Scottish Independence badges pinned to every outfit. 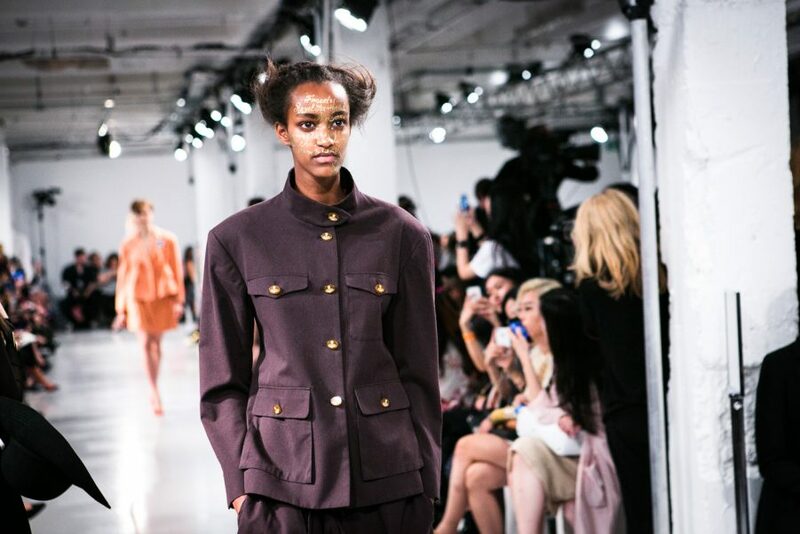 This, however, was not the only statement being made as Dame Vivienne Westwood’s designs were characterised by bold, oversized tailoring and busy prints. 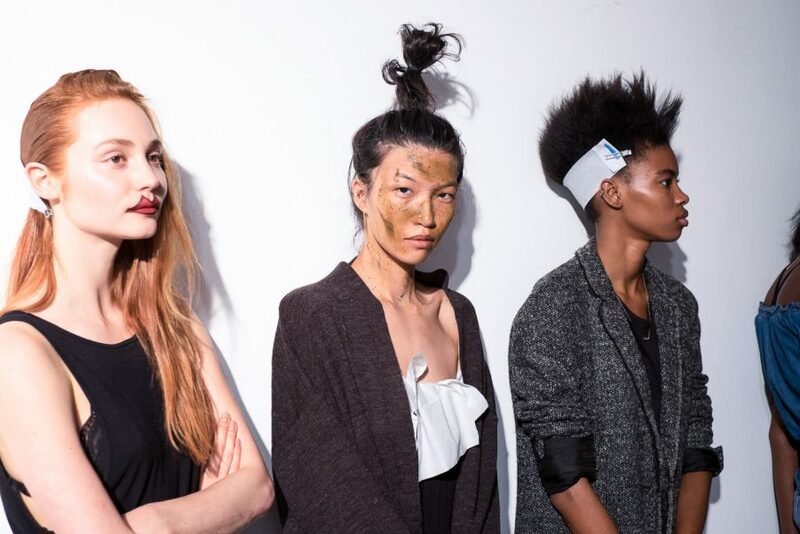 Models stormed down the runway with messily sewn up lips and portent messages strewn across their foreheads. 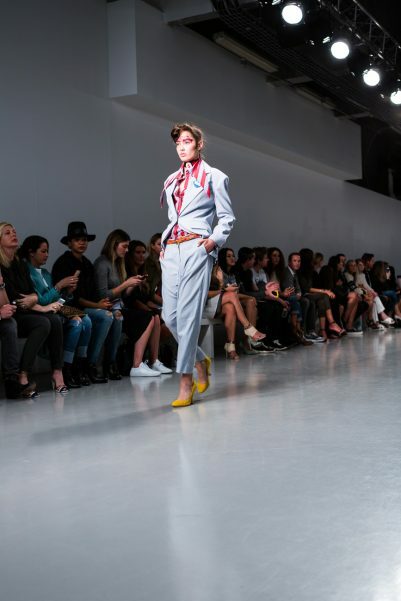 It was a creative and highly charged show that left the audience with plenty to talk about.